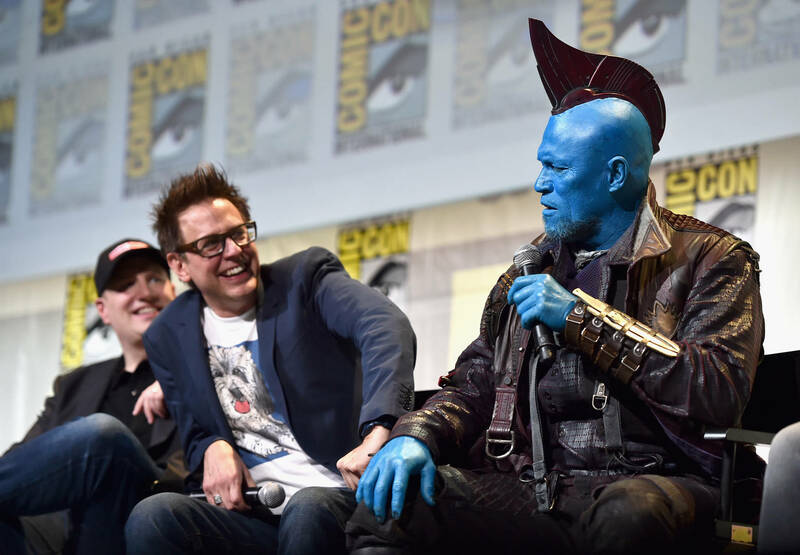 Well, this is awkward... After initially forcing Guardians of the Galaxy director James Gunn to step down, Marvel reps are confirming that he will indeed be rejoining the fray. If you'll recall, Gunn was forced to vacate his seat when Internet hounds discovered a bunch of controversial Tweets assigned to his name. Dave Batista for one was displeased with the decision. The actor who's played "Drax The Destroyer" in all two films, and hopefully the 3rd, threatened to leave the franchise if the studio didn't reverse their decision. His thoughts were echoed by co-star Chris Pratt who later posted, "There is little due process in the court of public opinion," in an open letter appearing on his Instagram. According to the reps involved in the process, the decision to reinstate Gunn in his rightful chair came down to a heartfelt apology that was issued directly in person. Walt Disney Studios boss Alan Horn was impressed with the wording of his apology, but also the manner in which he handled himself in subsequent meetings. Both sides agreed that Gunn's remarks were "indefensible" paving the way for a reconciliation process that took several months to set in stone. Guardians Of The Galaxy 3 will go ahead as planned, as will Suicide Squad 2, also directed by James Gunn.